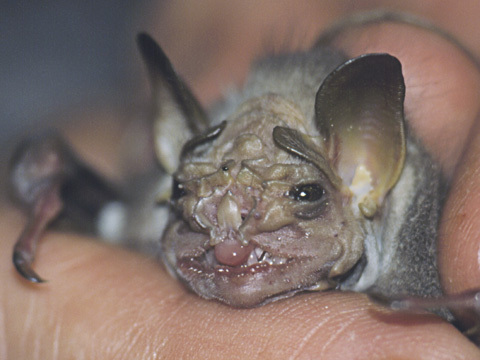 Centurio senex - the wrinkly face bat - is one of the ugliest creatures on the planet. Bats in general make for great subject matter for this blog, but the problem I have is finding a good repository of bat images. Anyone know of any? I could use a lot more like the one below. Can you imagine looking up into your tree and see these things staring down at you? You would never venture outside again. 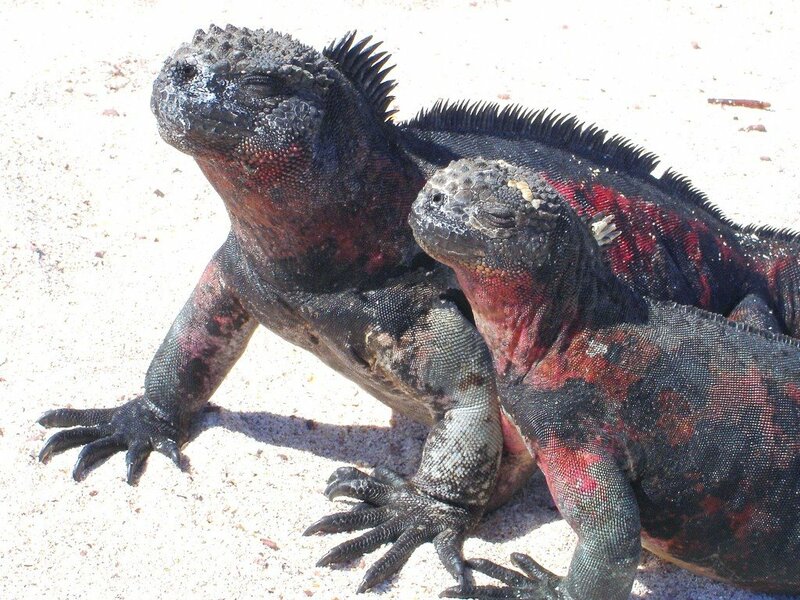 These marine iguanas seem to be really enjoying basking in the sun. I envy them. Not their looks, mind you, just their at-easeness (new word!). Thanks for the photo, Franz. Ugh. 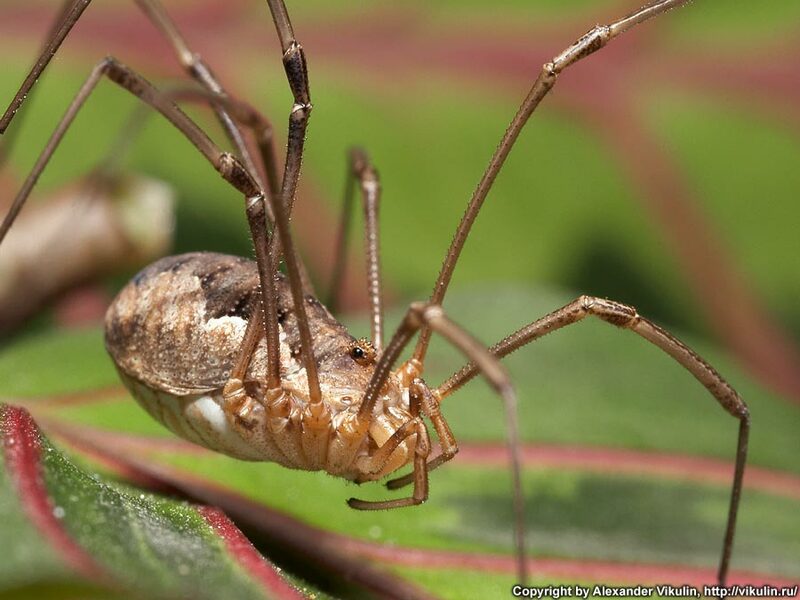 The daddy-long-legs. The most mundane and evil of the spiders (I know, it isn't a true spider). This ubiquitous arachnid can be found in every nook and cranny in my house - under the eaves, in the garage, in window sills. It is also the most likely to be in the bath tub when I stumble in for a shower, or floating in my water when I go for a drink. But I count my blessings. Thankfully, they aren't as big as in this photo. If that were the case, I might as well live in Australia. Thanks for the photo, Sean. Ugly baby alert. 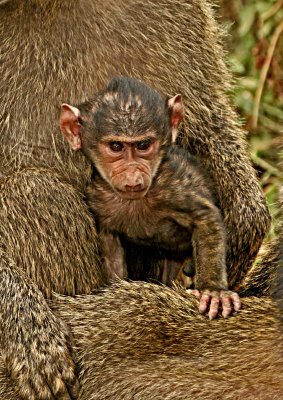 I originally thought it would be very difficult to find photos of ugly baby animals, but I was wrong - especially when it comes to baboons. The challenge now is finding a picture of a cute baby baboon. Anyone up to the challenge? 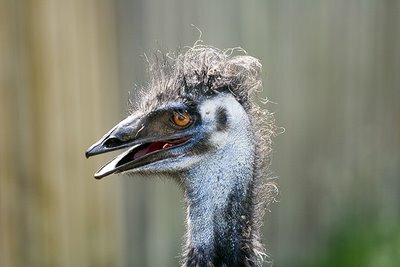 One nice thing about ugly animals (probably the only nice thing, aside from providing me material for this blog), is that they tend to have more personality than your average, run-of-the-mill non-ugly, or even pretty animal. Take this black vulture here, for instance. Its head is cocked to the side, looking at the camera. You wonder what it's thinking about: carcasses? its own bald and wrinkly head? why people are so fascinated by it? Actually, probably just about rotten meat. Thanks for the photo, Steve. I admit to feeling a sinister glee in revealing the ugliness of certain critters. Take the beloved butterfly, for instance. The mere mention of this fluttering insect brings to mind sunny days, beautiful colors, childhood innocence, and splats on your windshield. Ah, but here is what they look like up close. 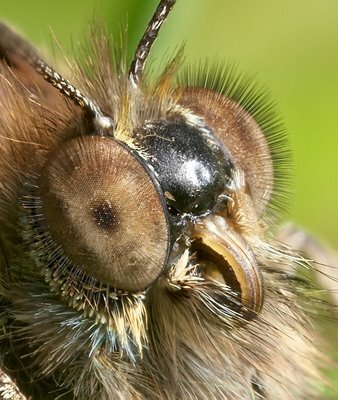 Take a gander at the speckled wood butterfly. Straight from a horror film, my friends. What's with the fuzzy eyeballs? Anyone disenchanted yet? Thanks for the photo, Brian. You can't ask for a better pose for this dog. Well done, photographyer, well done. I love it when dogs know their place. I understand the reasons behind the sheer bulk of this animal, the mass of it. I understand the lung capacity, the 'sleek' shape for swimming, etc. What I don't get is the nose. I need some learnin' here - does anyone know why these beasts have the noses they do? 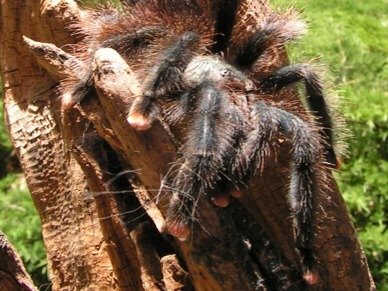 Here is another bird eater tarantula. I have never visited the Amazon, and I think that, thanks to these, I won't. Ever. My arachnophobia is terrifying in its force if even a daddy-long-legs climbs on me. My heart would cease in its beating if I felt the weight of one of these monsters climbing up my pant leg. Update: Brigette has corrected my perpetuation of this case of mistaken identity. This isn't a bird eater; it's a common pink toe tarantula. Thanks for the correction! This orange hairy pile is actually the resident male orangutan at the Sacramento Zoo. We can thank my wife for the photos. I would normally carry on in mocking tones about this ape, but since he lives so close I don't want to anger him. If these beasts really share up to 98.5% of our genes, it must be more than likely that he is checking in on the blogging world, too. I just can't risk it, not with the children. Need some help here. 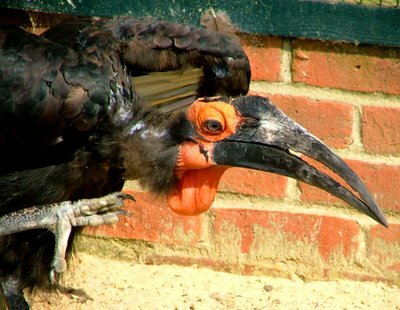 This bird looks like an Africanized version of a twisted, oversided toucan on the prowl. Anyone know what it is? It's ugly - start there. I need to know so I can make sure not to travel through whatever environs it infests. Thanks for the photo and the mystery, Mike. UPDATE: With the aid of two readers, 'anonymous' and Mark, we now know this creature to be a ground hornbill. Thanks for the ID. 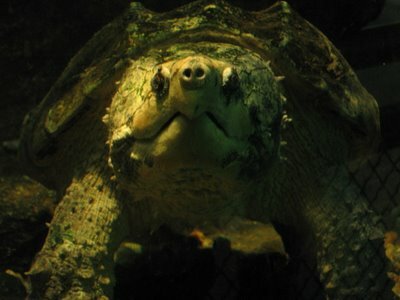 This snapping turtle is a staple at the Atlanta Zoo reptile house. This is the most ominous, lurking, photo of one of these I have ever seen. Who would have thought turtles could be so sinister? 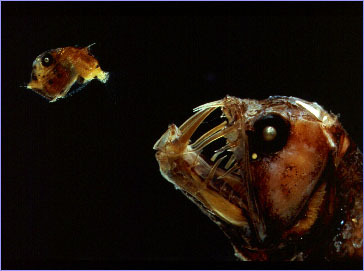 The viperfish's fangs are so big that they can't fit inside their mouths. As Sea and Sky puts it, "The viper is thought to use these sharp teeth to impale its victims by swimming at them at high speeds." Um, sorry little fishy trying to flee the big nasty viperfish. Prepare to be impaled. Some animals are just freaky. One more reason not to live in the deep sea. 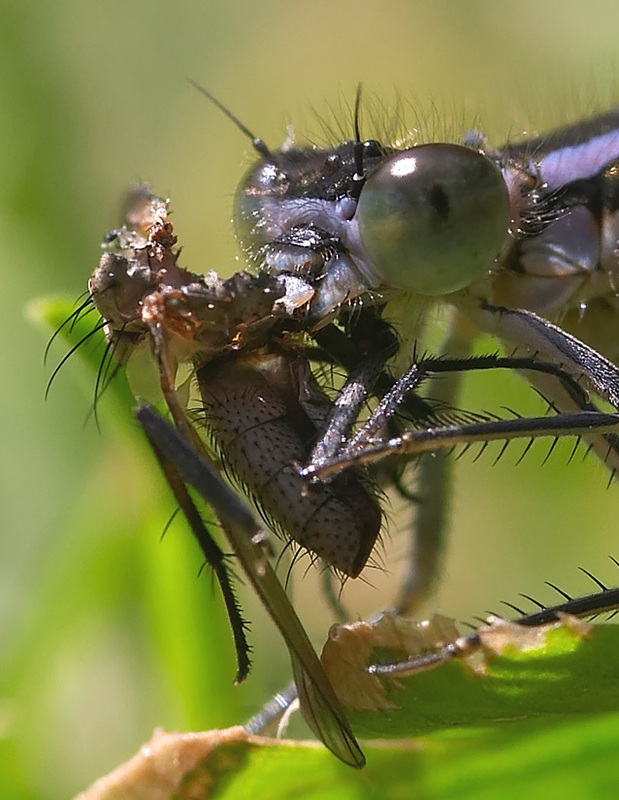 Aren't damselflies so dainty, elegant, and pretty? They buzz around, brightening our lives. Until you see them taking a lunch break - up close. 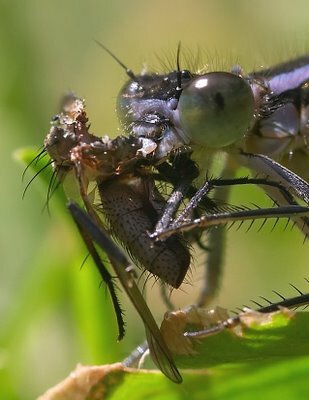 Though I have never put much thought into damselfly eating preferences, I never thought they were so ... carnivorous? Yummy. Thanks for the photo, and the disillusionment, Brian. BTW, check out his Flickr photostream (click his name. He is a gifted photographer, especially with macros. I thought I had catalogued the majority of the world's ugly turtles with the matamata and snapping turtles (with the occasional giant tortoise). 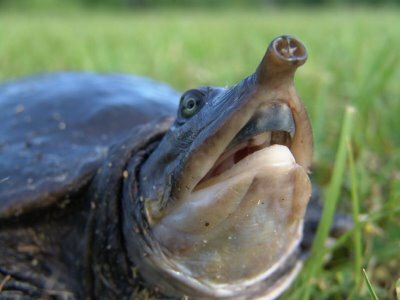 Wes, however, has proven me wrong with his photo of the Florida Softshell turtle. These guys are far more aggressive and ill-tempered than their better-protected cousins - they have to compensate. With the softshell I have made a discovery that will no doubt rock the science world: the ugliest of turtles are aquatic (matamata, snapping, softshell). Nobel please? This just doesn't look like a good idea. 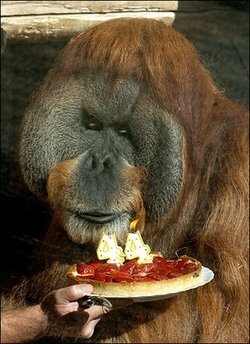 I know that Major the Orangutan is turning 44, and that this is a good photo op, BUT, do they honesetly think it is wise to rub his age in his face, place open flames before him, and mock him with oh-so-masculine strawberry shortcake? He doesn't look too pleased. Now I'm confused. 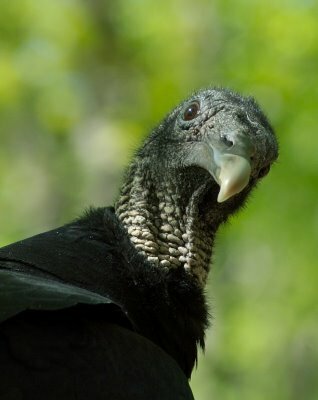 California bias and the super-endangered status of the California Condor would lead me to consider it to be the ugliest of the condors - an honor I don't lightly bestow. But then I came across this mug of the Andean Condor. I get different details online as to which of these two birds is bigger. 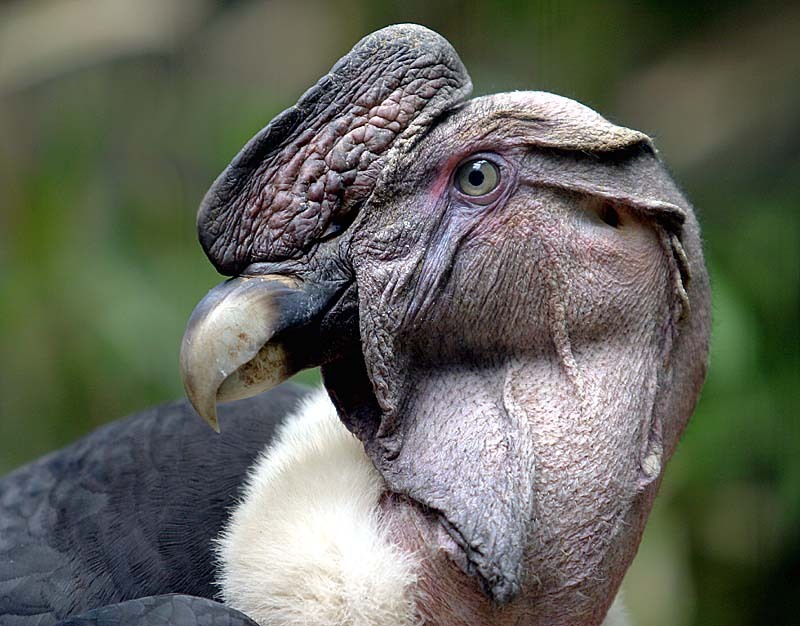 The Andean Condor has a wingspan of almost 10 feet! It might just be that dinosaur-looking 'fleshy comb' that settles the debate for me. Thanks for the photo, Mike. 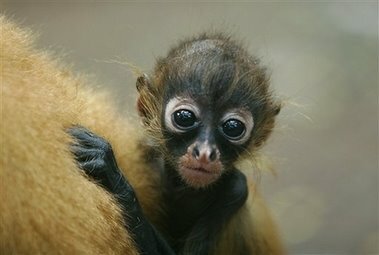 "Congratulations, Mrs. Central American spider monkey, it's a ... it's an ... AAAAHHHH AHHHHH!!" 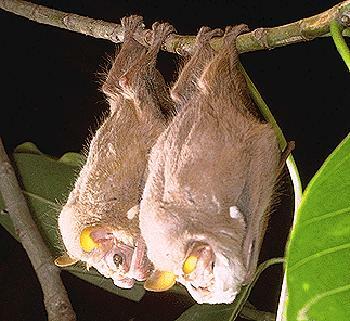 The island of Madagascar produces a disproportionate amount of ugly animals, for which I will be forever grateful. Take this aye aye, for instance. This little primate looks more like the invention of a low-budget movie set rather than a highly-specialized primate. Those big ears are for hearing the grubs that its long fingers will dig out for food. In this little guy's defense, he isn't supposed to be attractive. He's nocturnal. It was us that brought him into the spotlight. Thanks for leading us to this photo, Chris. 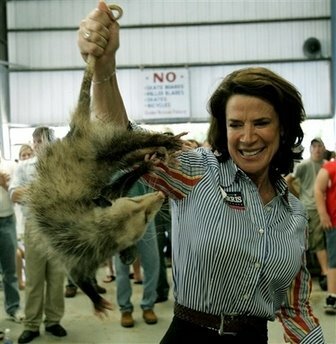 U.S. Congresswoman Katherine Harris is seen here holding up a possum she purchased at the Wausau Possum Festival in Florida. I love it when our elected officials start peddling in ugly animals. I lends legitimacy to this site. She is a wise woman - she knows to hold that sucker out at arms length. But I wonder, what is she going to do with it now? 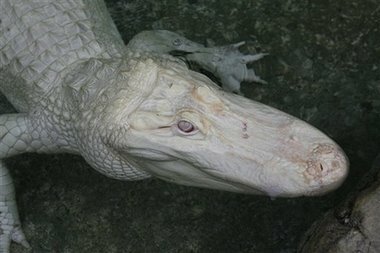 The Los Angeles Zoo has rolled out its Out of the Swamp exhibit, featuring, in part, this albino alligator. See? 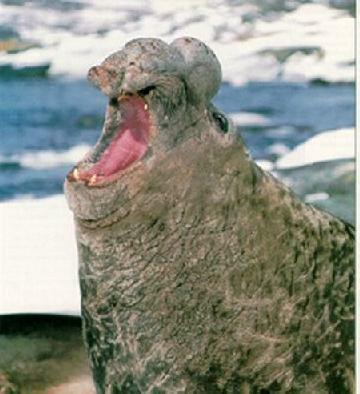 There is a whole community of individuals and organizations working to bring ugly animals to you. Count yourselves blessed, people! I admire pet owners who are secure enough in their affection for their pet to share its ugliness with us. No doubt in this dog's waking hours he is a fine-looking canine, but while sleeping the ugly switch gets flipped. At that point all that is needed is quick action with a camera by the owner and an upload to Flickr. Well done. Thanks for the photo, Klutts. Wow, wow, WOW! I don't know that it is possible to find a mammal with a face as ugly as this wrinkle-faced bat (that's a challenge to all of you!). The beady eyes, the big ears, the wrinkly face, the needle teeth, the flaps of skin across its forehead, the deformed nose, the tongue sticking out ... the one good thing out of all of this is that these creatures (centurio senex) are tiny. I know bats have a special following among some animal lovers. Why? Thanks for the photo, Eskay. It isn't just Australia and Brazil that have nasty creepy-crawlies. No, even our good friends in Austria are suffering from a well-warranted case of the heebie-jeebies. 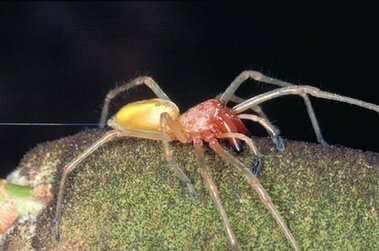 This yellow sack spider has bitten a number of Austrians, leaving them with nausea, headaches, and shouting, "Vorsicht von den Spinnen!" This is one of the best photos I have ever seen of an emu. Check out that hair! You can, by looking into those eyes, get a glimpse of how nutty these birds are. I had one nearly eat my feet off. That's a long story. Suffice it to say that I hold a personal grudge against them. Thanks for the photo, Shawn. The U.S. has been suffering such severe heat waves lately that even our captive ugly animals are suffering of thirst. 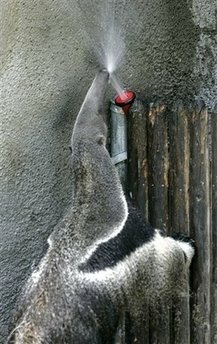 Thankfully, this anteater's keepers hooked him up with a sprinkler. 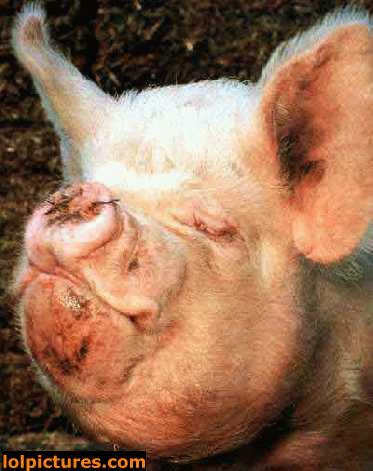 He is puting that snout to good use. Good anteater. This pig's face says it all. Well, assuming it could talk. But then, would he even say anything worthwhile? Probably not. Then the original point I made is pointless. 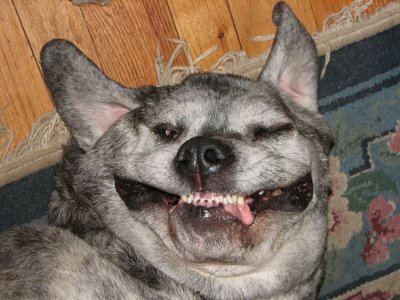 The point is, just look at his ugly face and be glad you're human. Assuming you are. 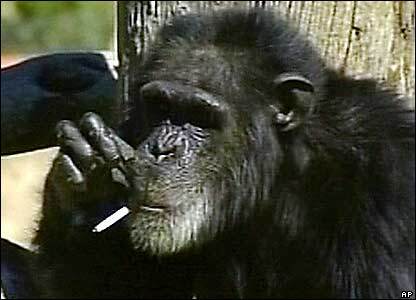 I can't get enough of this smoking chimpanzee. 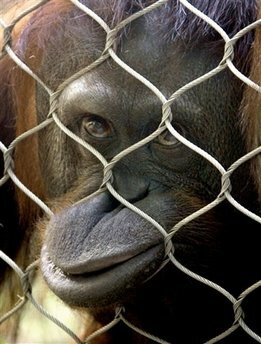 Chimps are cute until they reach about seve-years-old. Then they are as likely to rend you limb from limb as look at you. They also begin to lose their charm when they take up our nasty habits. I'm surprised Philip Morris hasn't stepped in to spin this in their favor. Move aside Marlboro man. 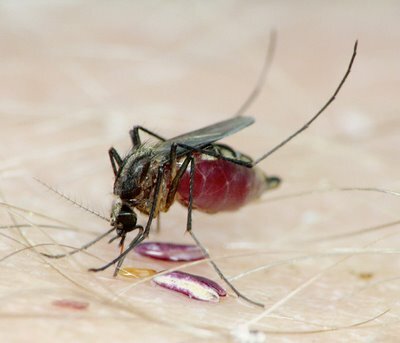 This lady is languishing in her compound. I love those lips. Why does she stick them through the fence like that? Because she can. Admit it, you would, too. It would be hard looking into those puppy-dog eyes and not want to toss her a banana or something. 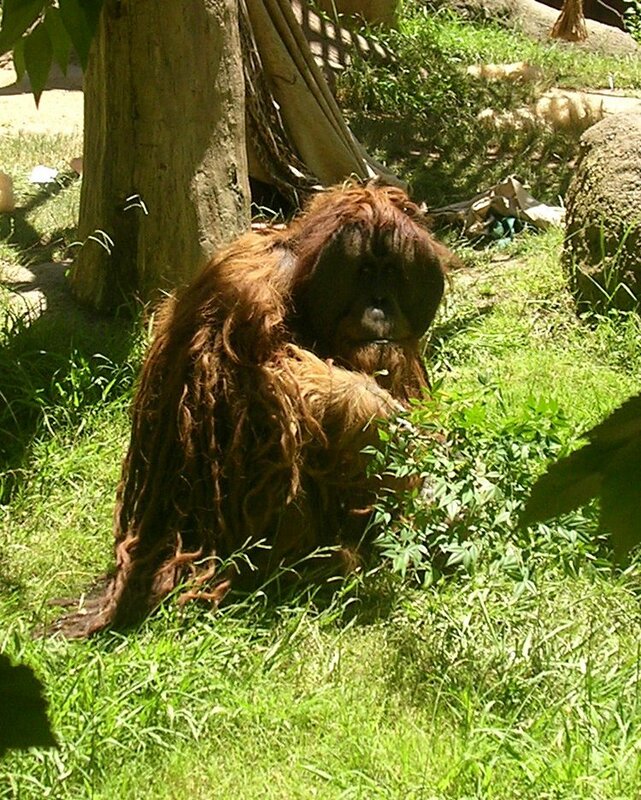 What would an orangutan consider a special treat? Anyone? Seriously, where does Australia come up with these? 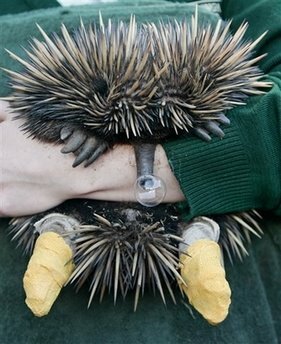 What in the world is an echidna? I saw this photo in Yahoo! and couldn't believe my eyes. 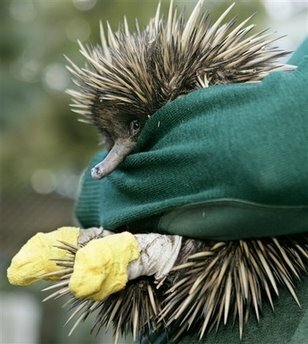 The immediate answer is that an echidna is a relative of the platypus, a worm and insect-eater who is native to Australia and New Guinea. The more telling answer is that Echidna is, in Greek mythology, the Mother of All Monsters. That's right, Echidna went on to spawn every monster worth his or her salt in the Greek world. Thanks for bringing this mama back, Australia. Just what we needed. Panda's are cute. Babies are cute. 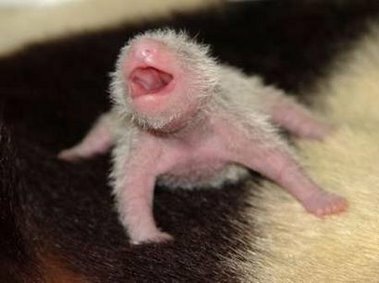 Am I risking it all by posting an image of a baby panda? Come on, work with me. Set aside your parental or cuddle instincts. 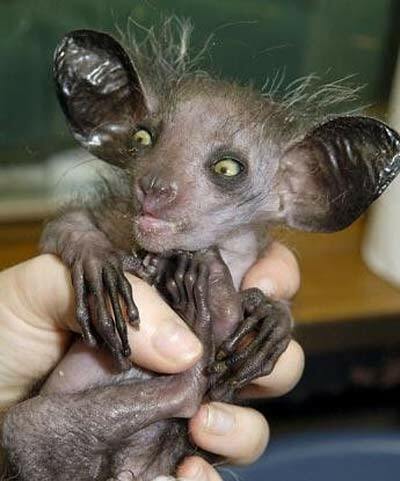 See this mewling little creature for the ugly baby that it is. 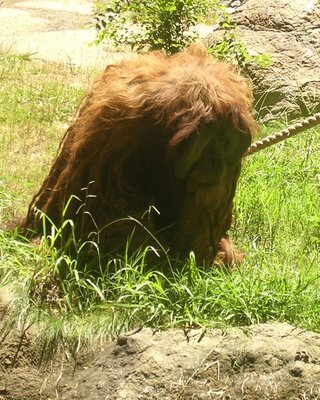 If this were an adult animal you would flee from it if it approached you in an alley way. You can take heart in the fact that it's ugliness will pass. It will soon join the ranks of the sickly cute. 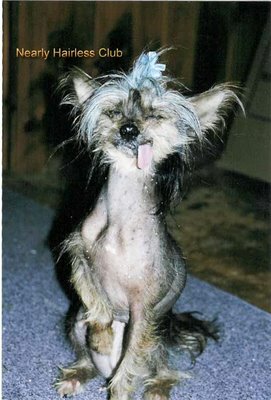 If you have ugly animal images - be they your own pets, or images you found online - or if you have a request for certain animals you want to see profiled, let us know. Email us at ragingwombat at gmail dot com.